This popular church video production software has all features that you need to produce an impressive church video. Animiz has offered thousands of available assets, from scene templates, backgrounds to roles, actors, charts, shapes and symbols. All these assets have a wide range of types. You are free to enter the keyword or choose from drop down category list to find the asset you want. Click or drag and drop to add these assets, which helps you create attractive church video content. 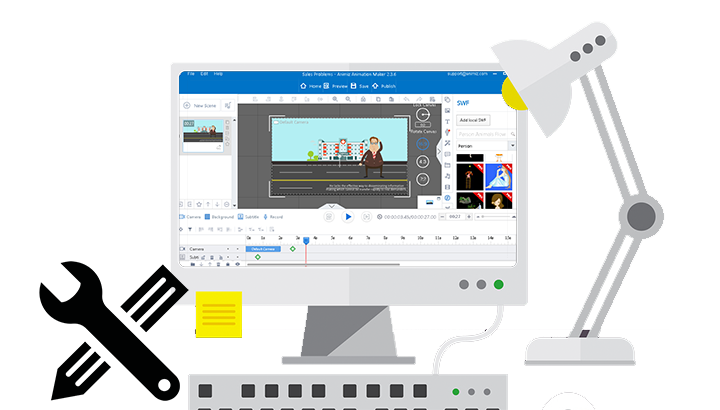 This church video production software allows you to use built-in assets to build video content. More importantly, you have much control over these assets including images and symbols. If the built-in asset does not really fit into your color scheme, just change its fill color. You can even add decoration effects to these assets, making them serve your purpose better. Choose from lots of transition effects to create a natural transition between scenes for your church video. 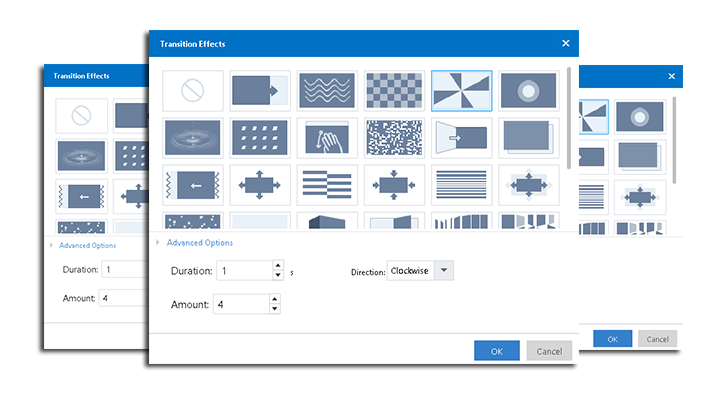 You are able to customize some transition effects: change the transition direction. For those transition effects that have something with lines, you can even customize the amount of lines. In addition, this church video production software also empowers you to set the duration for selected transition effects. 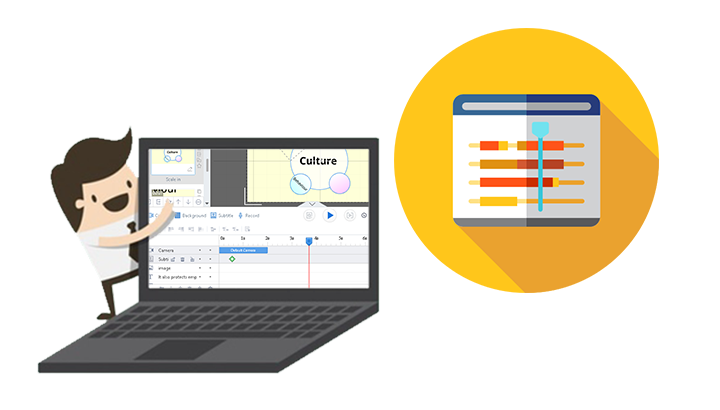 Create a new project or import your PPT file to start creating a church video in Animiz. Add different types of built-in assets to enrich your video contents. Apply various effect for scene transitions to increase your video engagement levels. Make use of the timelien to add animation effects to elements, making your contents more engaging. Publish your video with simple clicks and share the work online.